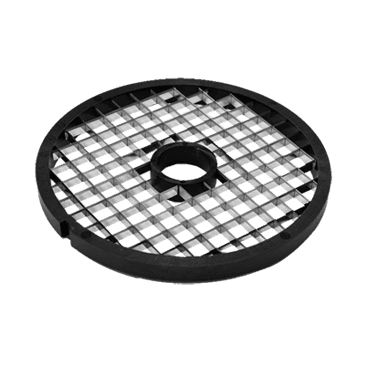 The Hobart DICEGRD-5/8L 5/8" low dicing grid is designed specifically for use with your FP100, FP150, and FP250 food processor. The Hobart DICEGRD-5/8L low dicing grid provides precise cutting action that won't bruise or mash fresh fruits or vegetables. Use the Hobart DICEGRD-5/8L 5/8" low dicing grid with an optional slicing plate to quickly and effortlessy prepare salsa, soup ingredients, and much more.